Any Quantity at bulk price: R3,025.00 each (Incl. VAT) free shipping on 20 ounces or more. This magnificent is the latest 10 oz coin that we are adding to our catalog from the Royal Canadian Mint. 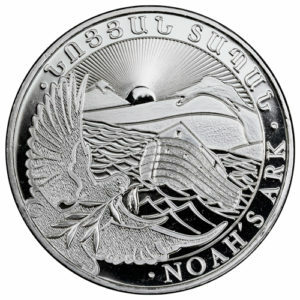 Struck in 4 nines (.9999 or 99.99%) fine silver, these spectacular one-of-a-kind 10 oz silver coins are sure to be popular with both investors and collectors alike. 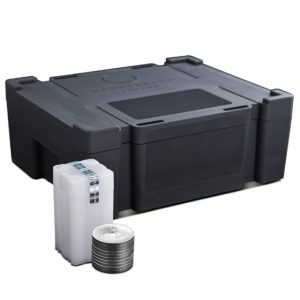 Coins are packaged in protective plastic and multiples of 25 come in a monster box from the mint. 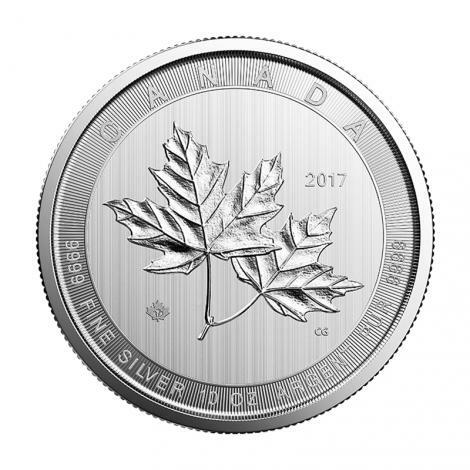 As many have come to expect from the Canadian Mint, these 10 oz coins contain two unique features for cutting-edge security, namely, radial lines and micro engraved laser maple leaf that includes the year of manufacture. Obverse: Susanna Blunt’s design of Her Majesty Queen Elizabeth II. 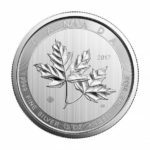 Reverse: Since there are numerous different species of maples, this type is different than the one on the 1 oz Maple coin; it is the sugar maple. If you are a fan of this coin, see other products by the Royal Canadian Mint like the Royal Canadian Silver 10 oz Bar and the Canadian Silver Maple 1 oz coins.